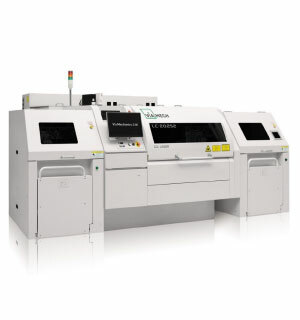 A high speed, high precision CO2 laser processing machine for high-end HDI and package PCBs. Precise pulse control through new galvano control technology, reduced non-operating time through a unique applications. Multilayer board for automotive, communication infrastructure and server. A high speed, high precision CO2 laser drilling machine for high-end HDI and package PCBs. Precise pulse control through newly developed galvano control technology, greatly reduces non-operating time through a diverse selection of applications. Copyright © Via Mechanics, Ltd. All rights reserved.